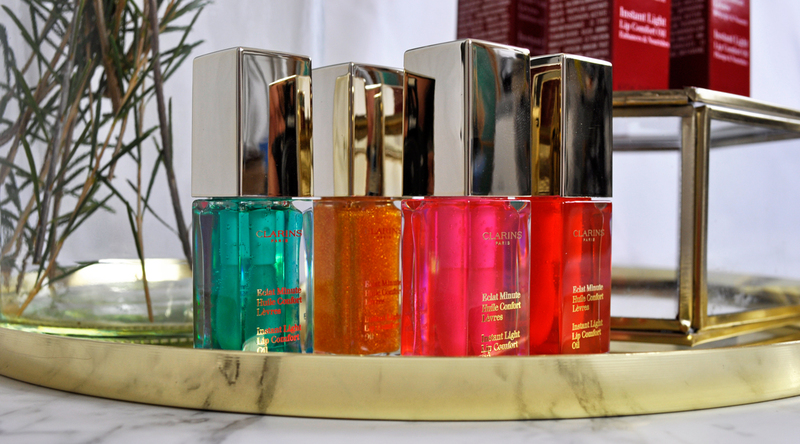 Any avid lipstick lover would know that a good lip treatment is crucial to having healthier-looking lips, which brings me to my latest obsession, Clarins Instant Light Lip Comfort Oils. They have crafted seven mouth-watering shades infused with 100% pure plant oils designed to nourish, soothe and plump lips. One luscious formula can be utilized in three ways. Apply before lipstick for a smooth application. Wear alone for soft hydrated lips. Top off any lip color for added shine. I like to start by applying the mint shade which has a very silky, stick-free texture that plumps the lips without the dreaded stinging sensation you get from most lip plumping products. It contains Field Mint Oil which refreshes the senses and invigorates the lips. It leaves a hint of a tingle that goes away after a couple of minutes, then you’re left with nourished, fuller looking lips. Not only does it feel extra hydrating and soothing, but it also doubles as the perfect lip primer. I was sent four new shades to play with, Honey Glam – for a pop of shimmer, Mint – for a cool, natural look, Candy and Tangerine – react to the PH of your lips creating a very personalized shade of pink or coral. The sponge tip applicator looked big at first glance but I believe it’s in a league of its own. It hugs the lips and glides on perfectly depositing the right amount of sheer color and shine. These lip treatments soothe and comfort the lips like no other, and they are just perfect to use all year round. Price (AUD) Instant Light Lip Comfort Oil – 5ml | RRP $33.00 – Available on July 24, 2017 at David Jones, Myer and selected Pharmacies. Which oil is going to care for your lips this winter? What is your current go-to lip treatment? 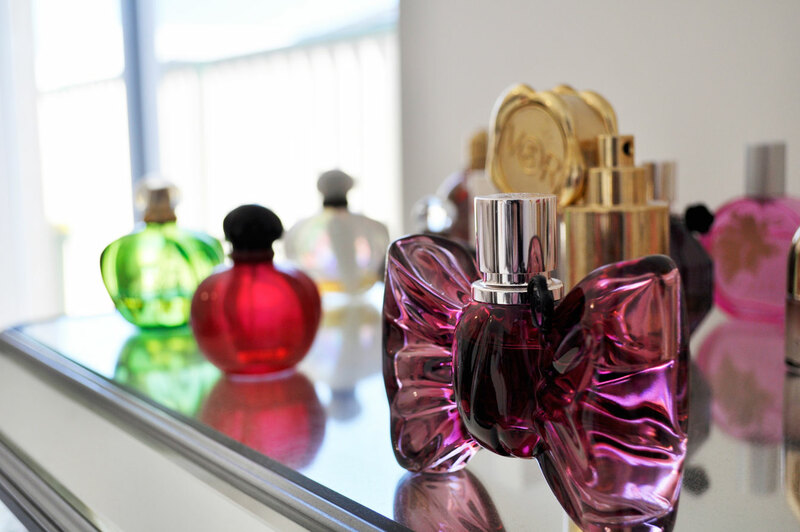 I really need to get my hands on some of these! I loved the original one so much, but I’m yet to try anything from the new range! Thank you very much! They are fantastic! I love these so much!! I can’t stop wearing mine since I got it on Saturday. I’m obsessed! I love a good natural lip plumper that doesn’t sting! Sounds fantastic! It’s my favourite, I love that it feels very moisturising too! I havent tried their Lip Perfector glosses, I will have to look for them in store. I’m so obsessed with lip oils! I’m dying to try the new Clairns one! Lip oils are so in and they do work very well. I have been eyeing these from Clarins since they launched, they look so good. I’ve been using them everyday! I’ve never tried lip oils! Love the colourful packaging though and I’d love to give them a go as a lip primer! They feel so different to anything I have tried before. I own every one of their lip oils from their previous collection and I absolutely LOVE them! I’m sooo excited that their bringing this out to AUS, especially when I first heard about them, I thought they were going to take a while to get here. Looks like I’ve got to check out these lippies and add them to my collection! I adore Clarins and need to try the mint flavor of this product. Thanks for letting me know about this cool product! The mint is my favourite! They both look and feel amazing on the lips! I’m absolutely obsessed with them! These sound great, have to start looking for them in the New York area!